With Hosted Exchange, your Exchange server is installed and managed in the cloud, as a service, with no fees upfront. You get all the functionality of Exchange with none of the overhead. South Wales Computer Repairs performs all installation, maintenance, upgrade and support activities on your behalf for a set monthly fee. Exchange vs. Outlook: What’s the difference? Big British Mailboxes with Safe Harbour. 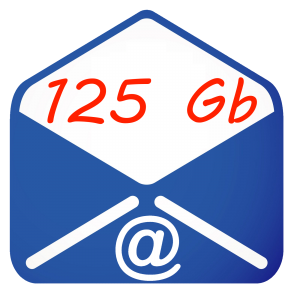 All of our mailboxes come with 125Gb of storage, thats 100Gb more than Google, with all data securely stored in multiple locations in the UK. Our Hosted Exchange complies with the European Safe Harbour Ruling in October 2015. Safe Harbour origianlly ensured that European citizen’s personal data could be transferred to US soil and held by a US company while retaining the same protection as if it were still based in Europe on European owned systems. The European court of justice’s ruling in October 2015 declared the agreement “unsafe”, given that the US Government reserves the right to access any data stored by US Companies, regardless of its origin or physical location. So if its important to you where you store your data you should carefully consider which cloud service you use.